If you notice more people busting out a credit card, there is a reason. If you notice more people whipping out a credit card, there may be reason — there has not been this many around in a while. More than 171 million consumers now have access to a credit card — which is the highest level since 2005, according to the most recent quarterly report by TransUnion. The increase in access to cards contributed to a 7.4% increase in total balances — which reached $693 billion in the first quarter of the year. Which begs the question — are we reaching dangerous levels of consumer lending? "The current situation with credit, debt and the overall economy is concerning," Sean Fox, co-president of Freedom Financial Network. "The total amount of debt consumers owe continues to rise, yet even as more people are employed, they are not earning more. That combination of factors is creating a crunch that is especially worrying with the just-announced interest rate hike." However, Monica Eaton-Cardone, co-founder of the chargeback remediation site Chargebacks911, said the uptick in access to credit is a net positive trend, because it looks to be mainly responsible usage so far. "Consumers were apprehensive about credit cards following the 2008 crisis," she said. "Though we're seeing credit card usage rise, people seem to be more responsible in their use of credit compared to pre-2008." She said while delinquency is up slightly, that is to be expected as subprime access to credit cards increases. "Overall, though, consumers' average creditability is up, with more and more consumers rated prime or higher," she added. 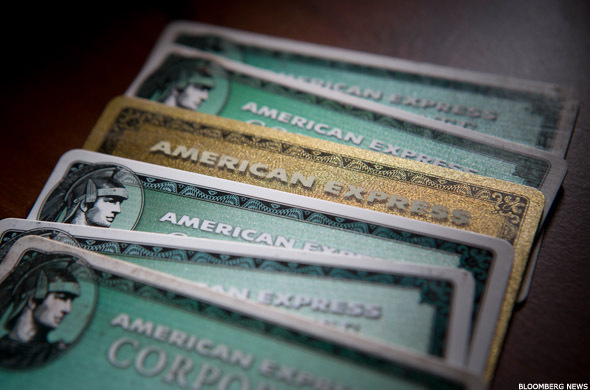 However, that does not mean everyone needs should run to open new accounts at American Express (AXP - Get Report) , Mastercard (MA - Get Report) or Visa (V - Get Report) . "There is a love-hate relationship between Americans and credit cards," says Natasha Rachel Smith, a consumer affairs expert for TopCashback.com. "Americans enjoy swiping multiple cards but struggle to pay the balances when they are due every month. If you're prone to overspending, there is a significant chance having multiple credit cards is too risky for you." Smith reminds each additional credit card you have comes with increased financial responsibility, and credit card mismanagement is a slippery slope that can put you in serious credit danger. "Missing payment deadlines and overspending negatively impacts your credit history and score," Smith said. "If there is a slight chance of overspending or you are just a forgetful person, it will be in your best interest to limit the amount of credit cards you own." Consumers also need to stay attuned to the current economy, Fox said. Total revolving debt has been rising since February, and the Federal Reserve's interest rate hike — small as it is — will increase interest rates for both savers and those in debt, he said. "The average interest rate on credit cards will move closer to 20%," Fox said. "Someone who is $10,000 in debt would pay about $25 more in interest charges each year. That may not seem like a lot, but to an individual already struggling with credit card debt, it is. "For those who start falling behind on any bill, a downward spiral can ensue," Fox added. "Late and missed payments hurt credit scores. The lower your scores, the higher the interest rate you will pay on new loans, such as for vehicles and home mortgages." Fox said the bottom line is access to credit, and use of credit, can be positive, but needs to be managed. "Credit cards are convenient, and often provide helpful benefits for some purchases and in some situations," he said. "But they are only good when people charge no more than they can pay off in full and on time every month. Usually most adults find it helpful to manage one credit card responsibly; multiple cards are generally not necessary."